Frost heave occurs when freezing temperatures penetrate the ground and cause subsurface water to form ice structures. This freezing below the surface displaces the soil. Water that is trapped in voids below the ground then forms ice crystals. As it freezes and becomes a solid, expanding occurs. The freezing process also dries the surrounding soil, which draws unfrozen water from below the frost front. It’s no secret that during the fall and winter months temperatures fluctuate quite a bit throughout the days and evenings. This fluctuation in temperature contributes to changing in the depth of the frost front. This creates a series of ice lenses with layers of frozen soil in between. Ice lenses are formed when moisture diffused with soil and rock accumulates in a localized zone, and they are large contributors in frost heaving. 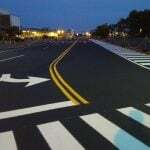 These ice lenses continue to grow and cause deformation and upward thrusting of the ground surface, lifting soil and structures, and causing large pavement cracks. As the temperatures fluctuate and increase during the day, thawing occurs. The thawing will begin at the ground’s surface first, and then continue downward. This creates a sort of temporary saturation and flooding of the soil beneath the ground’s surface, which weakens the soil. Additionally, the surface and structures that were raised during the freezing stage slide back down and are often left uneven and unstable. Imagine this heaving process happening over and over again. This can lead to severe pavement damages as well as the possibility of structural collapses. So, how can you prevent frost heaving from happening and the damages associated with it? Support structures need to extend below the local frost line or be protected by insulation. Consider backfilling around piers with gravel to promote drainage. Consider replacing fine-grain soil with course material. Fine-grain soil is the most susceptible to frost heave. Create a capillary break to stop capillary movement. This can be created from copper, tin, or a layer of slate or gravel. Underground units, or basements, can suffer water damages and severe cracking from freezing. However, if the underground unit is heated, damages can be prevented because the outward heat loss pulls moisture away from the foundation walls. Moisture is required for adhering, so this means the less moisture soil has, the less likely it will grip to the foundation. 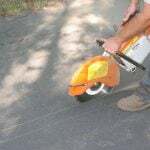 Chances are, after winter your pavement will need maintenance and repairs. If you live in an area with harsh winters, it’s inevitable. But, proper initial installation is extremely important in decreasing the number of repairs and damages frost and winter conditions can cause. 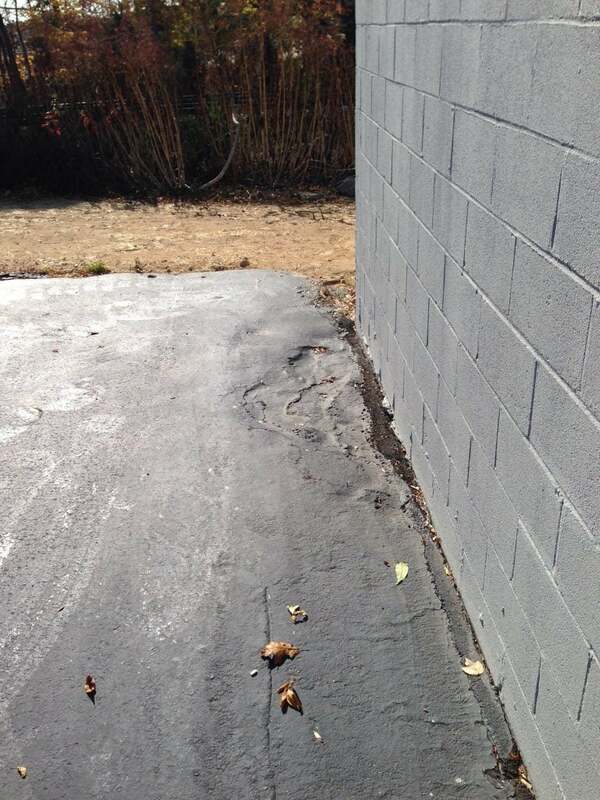 A base that is too thin, or one with extremely fine soil can be more susceptible to water and frost heave damages. 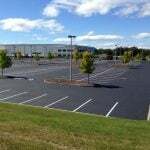 A parking lot lacking proper drainage can also be a leading factor in excessive asphalt damages and/or surrounding structure damages. Ensuring that your pavement is installed properly first, and maintained appropriately and regularly after, are the most important steps in preventing serious damages harsh weather can cause. 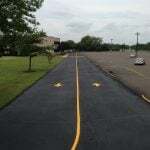 Our highly trained and knowledgeable staff can help to ensure that your base is effective and sturdy, that your pavement is installed correctly and to the proper thickness, and that your parking lot in maintained properly to ensure it lasts as long as it should. We’ve already seen our first frost of the season – now is the time to prepare your pavement for extreme cold and frost exposure. Contact us today for your free consultation!